"Wheel Rooms at Spindlestone Mill Apartments" in Belford, near Bamburgh, on the Northumberland Heritage Coast, is our cottage of the month. 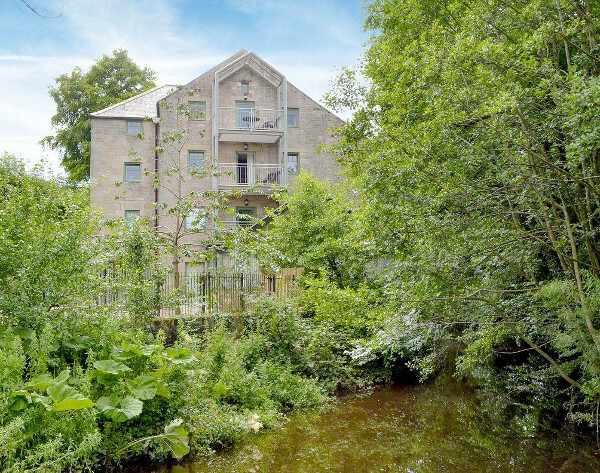 Wheel Rooms is one of four apartments at this converted mill. Located in a quiet location, and an ideal spot to explore the dramatic Northumberland Heritage Coast. Wheel Rooms at Spindlestone Mill Apartments sleeps 10 people in 5 bedrooms. The bedrooms being made up of a king-size double bedroom, 2 further double bedrooms, and 2 twin bedrooms. Four of the bedrooms are en suite, with a further family bathroom. Wheel Rooms at Spindlestone Mill Apartments has a living room with a TV and DVD player - you also have a snug with a TV and DVD player. The kitchen has a cooking range, microwave, fridge, fridge/freezer and a dish washer. You'll find a washing machine and tumble dryer in the utility room. Wheel Rooms at Spindlestone Mill Apartments comes with underfloor central heating, with your gas & electricity, towels, bed linen and Wi-Fi all included in your holiday cost. Outside Wheel Rooms at Spindlestone Mill Apartments has a patio area with furniture - as seen in the photo below. There is parking for four cars. Holidays at Wheel Rooms at Spindlestone Mill Apartments start on a Friday. The nearest shops, pubs and restaurants are 3 miles from Spindlestone Mill Apartments. With the beach being 1½ miles. The coastal town of Bamburgh is close by, which has a large castle to explore; and beaches to spend some time. Seahouses is also a couple of miles from Spindlestone Mill Apartments, which offers boat trips to the Farne Islands - famous for its bird sanctuaries and seal colony. Alnwick Castle is 15 miles from Spindlestone Mill Apartments, and makes for a nice day out. Or head into the wilds of the Northumberland National Park for the day! Berwick-Upon-Tweed is 15 miles to the north, is also worth a visit for the day. Should Wheel Rooms at Spindlestone Mill Apartments not be to your liking, but you fancy staying in the area around Bamburgh, you might well be interested in the cottages below. All these cottages are within a few miles of Wheel Rooms at Spindlestone Mill Apartments.